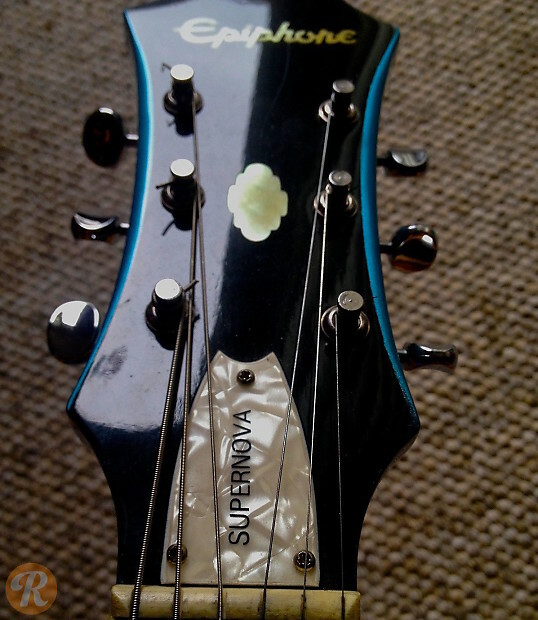 The Epiphone Supernova is a signature guitar produced for Noel Gallagher of Oasis. It is something of a hybrid between a Riviera and a Sheraton. It features semi-hollow construction and two humbucking pickups with controls for volume and tone per each pickup.